Jacopo Francesco Riccati (28 May 1676 – 15 April 1754) was an Venetian mathematician and jurist from Venice. He is best known for having studied the equation which bears his name. In mathematics, a polynomial is an expression consisting of variables and coefficients, that involves only the operations of addition, subtraction, multiplication, and non-negative integer exponents of variables. An example of a polynomial of a single indeterminate, x, is x2 − 4x + 7. An example in three variables is x3 + 2xyz2 − yz + 1. O'Connor, John J.; Robertson, Edmund F., "Jacopo Riccati", MacTutor History of Mathematics archive , University of St Andrews . 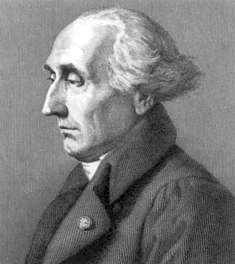 Joseph-Louis Lagrange was an Italian Enlightenment Era mathematician and astronomer. He made significant contributions to the fields of analysis, number theory, and both classical and celestial mechanics. In mathematics, the witch of Agnesi is a cubic plane curve defined from two diametrically opposite points of a circle. It gets its name from Italian mathematician Maria Gaetana Agnesi, and from a mistranslation of an Italian word for a sailing sheet. Before Agnesi, the same curve was studied by Fermat, Grandi, and Newton. The year 1748 in science and technology involved some significant events. Alberto Pedro Calderón was an Argentinian mathematician. His name is associated with the University of Buenos Aires, but first and foremost with the University of Chicago, where Calderón and his mentor, the analyst Antoni Zygmund, developed the theory of singular integral operators. This created the "Chicago School of (hard) Analysis". Calderón's work ranged over a wide variety of topics: from singular integral operators to partial differential equations, from interpolation theory to Cauchy integrals on Lipschitz curves, from ergodic theory to inverse problems in electrical prospection. Calderón's work has also had a powerful impact on practical applications including signal processing, geophysics, and tomography. Kazimierz Żorawski was a Polish mathematician. His work earned him an honored place in mathematics alongside such Polish mathematicians as Wojciech Brudzewski, Jan Brożek (Broscius), Nicolas Copernicus, Samuel Dickstein, Stefan Banach, Stefan Bergman, Marian Rejewski, Wacław Sierpiński, Stanisław Zaremba and Witold Hurewicz. 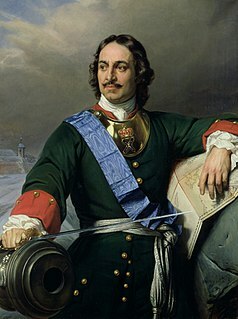 Nicolaus II Bernoulli, a.k.a. Niklaus Bernoulli, Nikolaus Bernoulli, was a Swiss mathematician as were his father Johann Bernoulli and one of his brothers, Daniel Bernoulli. He was one of the many prominent mathematicians in the Bernoulli family. Dom Guido Grandi, O.S.B. Cam. was an Italian monk, priest, philosopher, theologian, mathematician, and engineer. Ljubomir Chakaloff was a Bulgarian mathematician. He was born in 1886 in Samokov and died in 1963 at the age of 77. He was unmarried at the time of his death. Maria Teresa Agnesi was an Italian composer. Though she was most famous for her compositions, she was also an accomplished harpsichordist and singer, and the majority of her surviving compositions were written for keyboard, the voice, or both. John Hellins FRS was an autodidact, schoolteacher, mathematician, astronomer and country parson. Jacopo Tiepolo, also known as Giacomo Tiepolo, was Doge of Venice from 1229 to 1249. He had previously served as the first Venetian Duke of Crete, and two terms as podestà in Constantinople. During his first term, following the capture and mysterious end of Peter of Courtenay, Tiepolo acted as de facto ruler of the Latin Empire, negotiating treaties on behalf of the Empire with Egypt and the Seljuk Turks. A timeline of calculus and mathematical analysis. Jacopo or Giacomo I da Carrara, called the Great (Grande), was the founder of the Carraresi dynasty that ruled Padua from 1318 to 1405. He governed with the advice of the leading citizens during a rule characterized by unity within the city. He is usually considered the first lord (signore) of Padua, his election marking the transition from commune ad singularem dominum, a characteristic regime known as a signoria to contemporaries. Vincenzo Riccati was a Venetian mathematician and physicist. Ramiro Rampinelli, born Lodovico Rampinelli, was an Italian mathematician and physicist. He was a monk in the Olivetan Order. He had a decisive influence on the spread of mathematical analysis, algebra and mathematical physics in the best universities of Italy. He is one of the best known Italian scholars in the field of infinitesimal mathematics of the first half of the 18th century. Giuseppe Suzzi was an Italian mathematician and abbot. Fyodor Dmitriyevich Gakhov was a Russian mathematician and a specialist in the field of boundary value problems for analytic functions of a complex variable. Giuseppina Masotti Biggiogero was an Italian mathematician and historian. Known for her work in algebraic geometry, she also wrote noted histories of mathematicians, like Maria Gaetana Agnesi and Luca Pacioli. She was a member of the Lombard Institute Academy of Science and Letters and won both the Bordoni Prize and Torelli Prize for her work.